If there is one thing you might never catch me doing, it is listening to anything that has to do with politics its just not a subject of interest for me, but somehow I stumbled on articles written by this young man on Nigeria and its political system and I became fascinated, I must say it got my attention . I had fun interviewing him, its my utmost pleasure to share his story. kindly read about him and the projects he is presently working on. 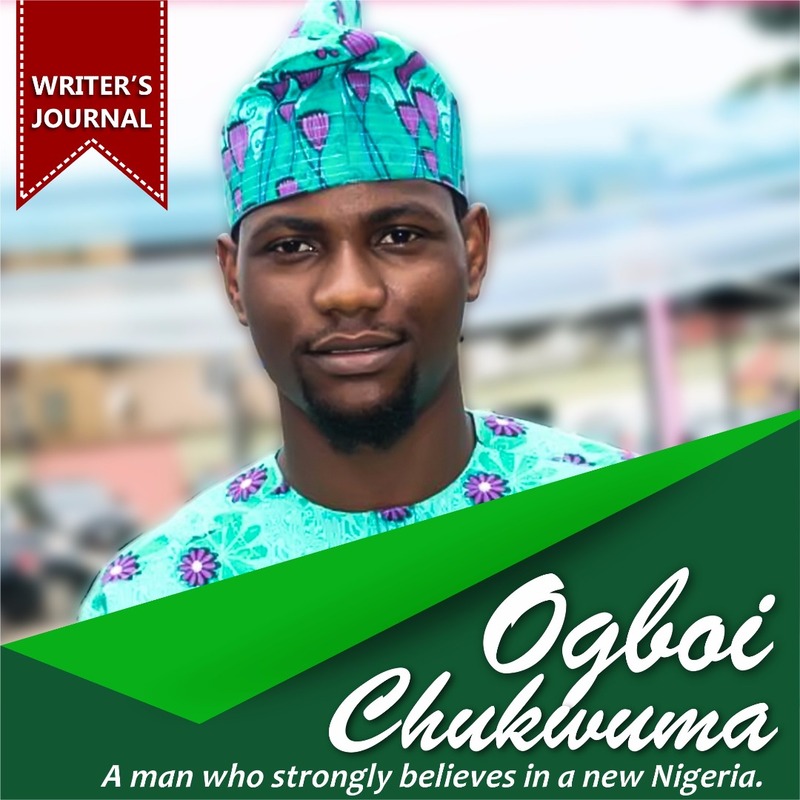 Onome writes: Who is Chukwuma Ogboi? 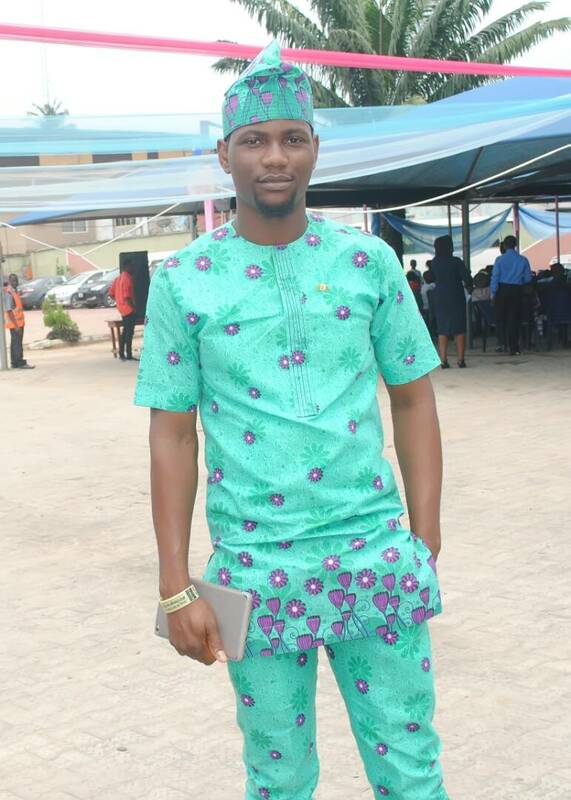 Ogboi: Simply put, I am a Geoscientist, a Strategist, a Content writer and Blogger. Onome writes: Tell us about your love for writing? Ogboi: It began with me just loving to put things down on paper in my early years however I got concerned with time about my country and its epileptic leadership and saw the need to provide a counter narrative to the propaganda they spew. Although, writers like Pastor Olatide Peters, Muyiwa Adetiba, Dele Sobowale, Precious Forcados, also had a great influence on me. Onome writes: What motivates you to keep writing? Ogboi: As I said earlier, I started writing in secondary school, back then I covered all sport activities within and outside my school, and growing up I found it more interesting, it gives me so much joy really. 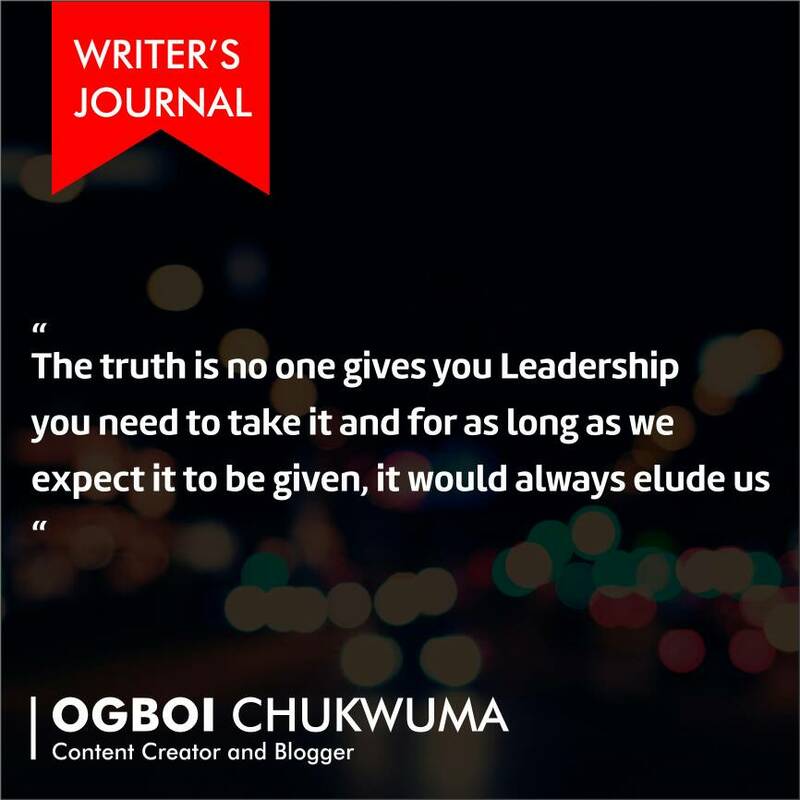 Onome writes: How do you handle disappointments as a writer? Ogboi: Well, I believe I’m a clear headed opinion writer, I just try as much as possible to avoid grievances and sentiment whenever I write, I keep it as safe as possible, although, its a tough one for me because I’m very familiar with adjectives but I wont stop on account of that. Onome writes: As a young passionate Nigerian what would you say you have achieved so far? 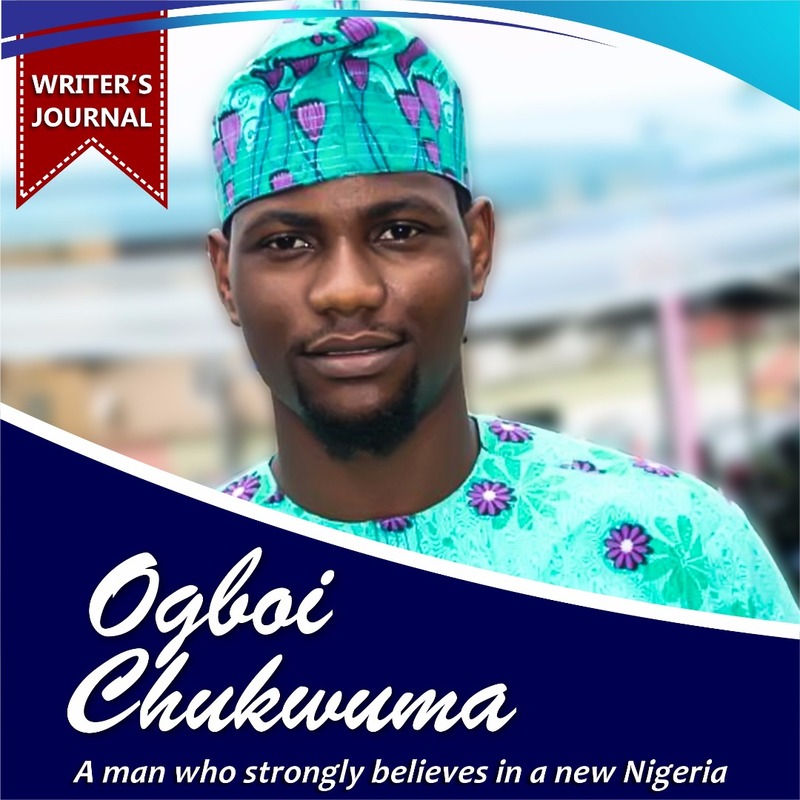 Ogboi: So far I have been a columnist on This Day, and a promoter of change for a better society, I have dedicated myself to enlightening Nigerian youths on how to be better leaders in the face of various challenges that plague the country. With this mandate to create change with every available platform, I have written so many opinion articles which highlight my perception on national issues that affect the lives of Nigerians. Onome writes: Okay, That’s a big one! 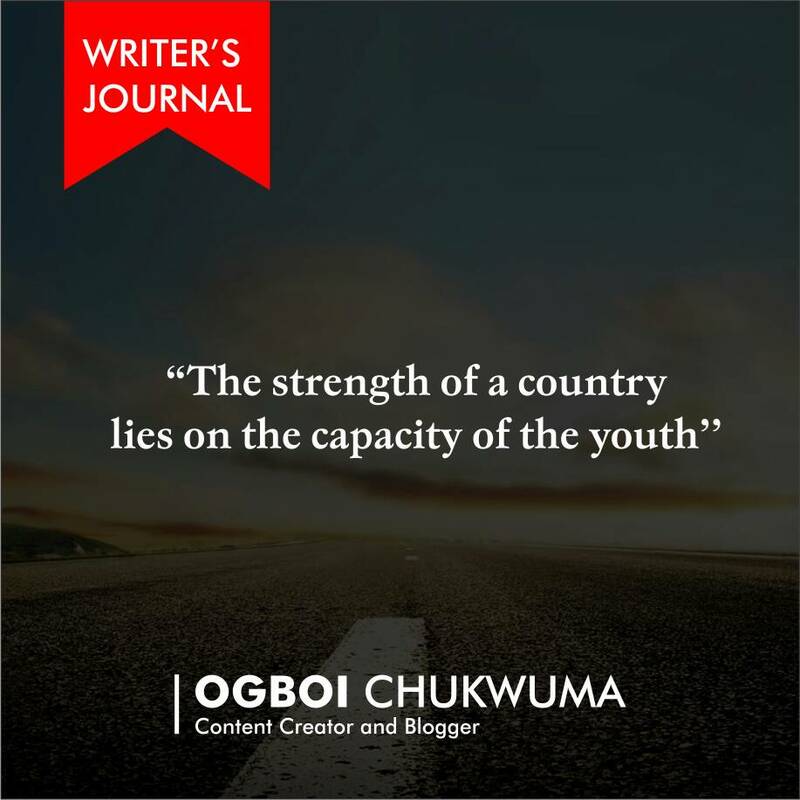 Onome writes: Why do you believe so much in the Nigerian youths? Ogboi: Truth is, the strength of a country lies on the capacity of the youth. Although, young people have always held political leadership positions. Donald Duke was governor at 36; Dimeji Bankole was speaker at about the same age, and a couple of others who were ministers in their late thirties. I believe there are exceptional young people who already are holding their own across various industries, we only need to identify, encourage and support their political ambitions, and most importantly, build their capacity. Onome writes: Do you see yourself aspiring for Political positions in the future? Ogboi: Ooh, absolutely! Although, I will like to start from the National assembly where I can put forward bills to better our institutions, because there seems to be too many imaginative perceptions about our institutions lying fallow and unattended to. Onome writes: So what do you do for fun?? Onome writes: Would you describe yourself as an extrovert? Ogboi: Going out is really not my thing owing to my background, but I do occasionally hangout with friends for say birthday or just to the movies. Onome writes: Okay, lets talk about your new book coming very soon but before we do let me ask, how many books have you written so far? Onome writes: Okay so let’s have an insight into your book, whats the title of the book? Onome writes: What inspired you to write the book? Ogboi: At first, I was frankly fascinated by Uzoma’s leadership style and capacity and I decided to create a template for posterity. Also when the new party took office in 2015, I made it a duty to hold them to the promises they made to Nigerians. I thence decided to publish a weekly opinion critiquing the actions and inactions of government both at a strategic and operational level. It is to drive and influence a new thinking from the people. 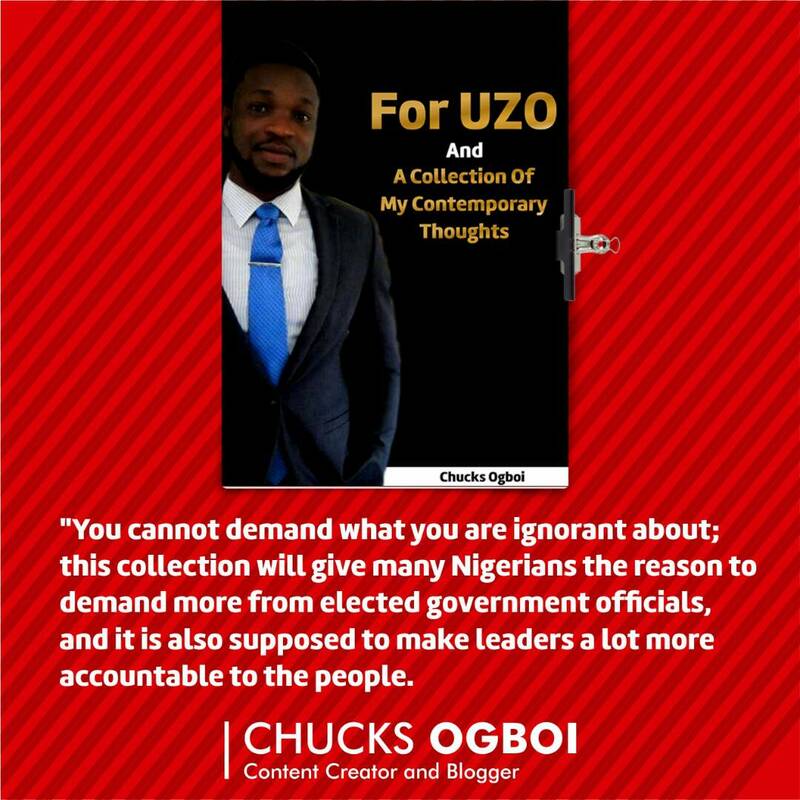 One cannot demand what he’s ignorant about; this collection will give many Nigerians the reason to demand more from elected government officials, and it is also supposed to make leaders a lot more accountable to the people. Onome writes: Tell us please, who is Uzoma? Ogboi: Wow!! If I decide to talk about the character, Chinweokwu Uzoma, we won’t end this interview. Let me simply put, for the sake of time; I met him in the pursuit of academic excellence in one of the best Universities in Nigeria, FUTA, in 2008 he’s a brand in morality and an exemplary leader! Onome writes: So what’s the book all about? Ogboi: The book is actually a tribute to my jolly good fellow, a thought leader, full of wisdom, highly compassionate, Uzoma. I wrote about something worth focusing about which his is style of leadership and tact. In the book, I wrote a letters to my President, In it I explored the ineptitudes and stupidity of those in leadership, In it, you’ll also get my views on the Biafra agitations ,Hate speeches, Niger Delta agitations, American vs. North Korea, I believe It’s all about ideologies. It’s a collection of my thoughts on issues bothering the nation, our relationships, and sundry issues. Onome writes: What is your expectation about this book for its readers? 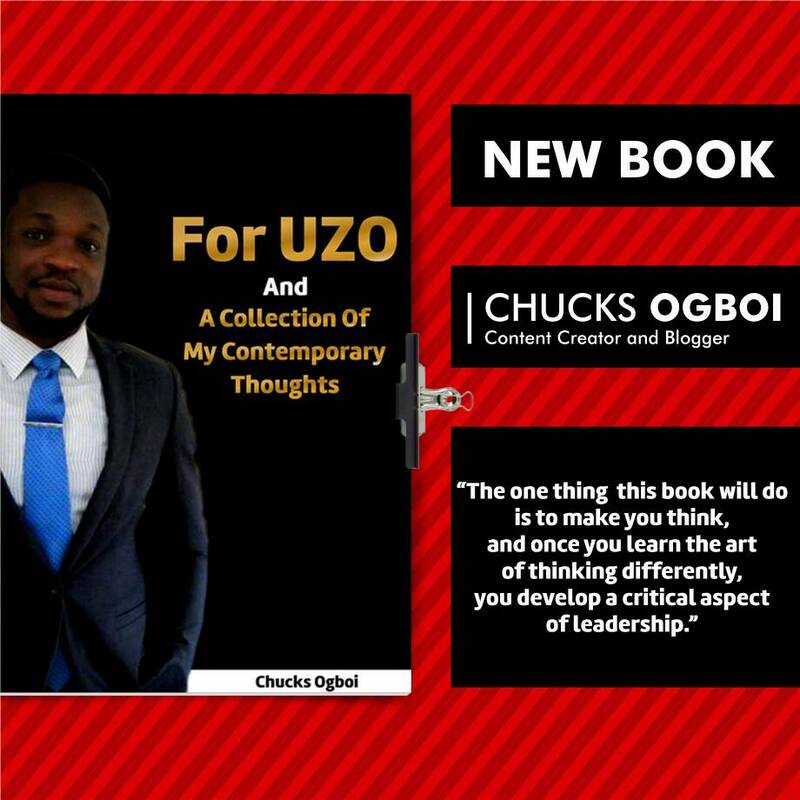 Ogboi: One thing this book will do is to make you think, and once you learn the art of thinking differently, you develop a critical aspect of leadership. Onome writes: Do you have a target Audience? Onome writes: So when is it going to be ready for sales, how much will a copy cost? Onome writes: Just before we wrap up, what do you think is the future of Nigeria? Ogboi: Sadly, the crops of leaders we’ve had and have hardly care about what the people think, they look down on every one of us and consider critics like us Wailers. They consider us noise makers, and when we are tired, we will close shop. However, I still strongly believe, even if it doesn’t happen in my lifetime, Nigeria will be a great country again. 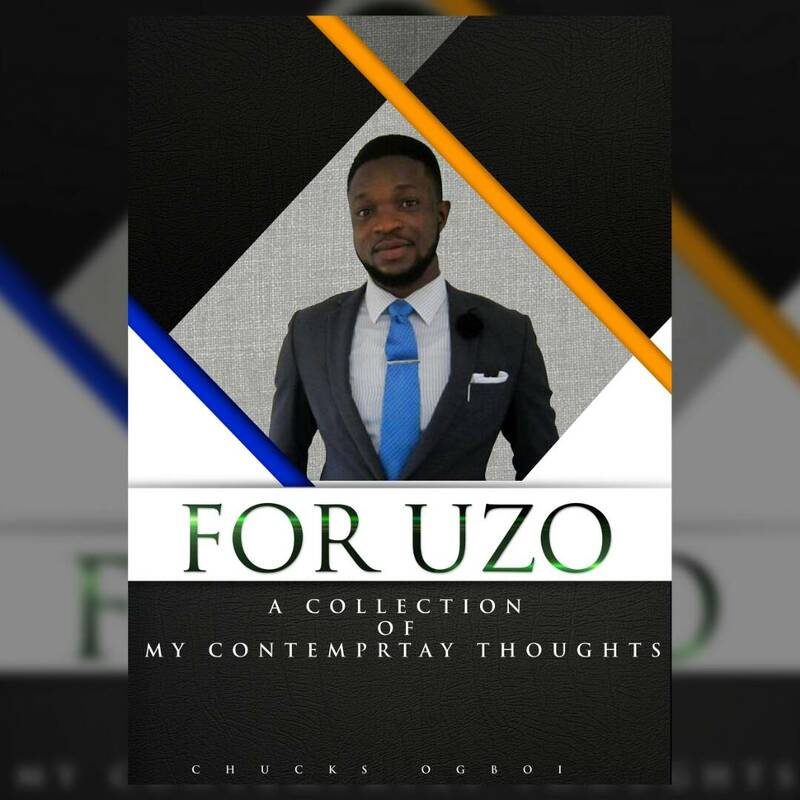 Onome writes: After this book is released what should we expect from you? Ogboi: I’m presently working on two (2) others. One is the collection of my weekly opinion articles titled, The pontification while the other is yet to be disclosed. If we all like Mr. Chukwuma Ogboi can rise up to fight for the freedom of our country, if we can protect its integrity and believe in its future, then Nigeria will emerge as a desirable nation. After interviewing this young man my love for this country increased and I’m anticipating the release of that great book For Uzoma: a collection of contemporary thoughts and I’m sure you are too. Keeps your fingers crossed and lets make a better Nigeria possible. I remember desiring long ago to serve in government sometime in my life..fast forward a few years later after observing the lack of clear cut vision presented by the ruling elite, I decided the terrain was too much of messy one to thread. Every choice of word-response used in this interview sends a strong message of Hope and strength, that we too can culture out a decision to go all the way through the tough terrain to Hope for a better Nigeria. I believe Hope is a force, it will move in the direction we propel it. We will fight with a vision, full with Hope and on our knees..its just how we prevail. !